Check out the pictures of the trio mentioned above looking gloriously beautiful in their lingerie on the valentine cover of Mode MenMagazine, which would be on the magazine racks & stands in a few hours. We are quite sure you know who the three ladies are. But for those who might not know, lets just tell you. 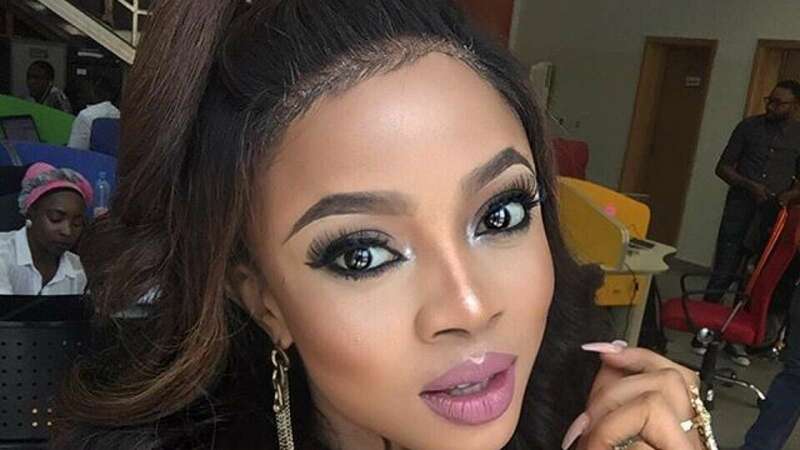 Omotoke Makinwa, ‘the cute’, that’s our title for her, is the delight-some On-Air-Personality at the award winning FM radio station 93.7FM. She’s one of those who holds down admirably the morning drive radio programme. Ugonna Omeruo, on the other part, is the magnificently creative scissors hand(Fashion designer), who is the creative director of her own label called House of Nwocha. A proud Ibo girl, and a fashionista to the core. Seyi Shay is the sonorously gifted and bombastically talented songbird, who was once based in the UK and whose group in the UK, was signed on to Beyonce Knowles dad. The gifted artist has since come home to showcase her amazing talent. Boy!!! Can she sing!!! The trio were having mad fun recently at a location, don’t you all get unnecessarily worried oooo, they weren’t doing anything untoward or naughty! But they were in their lingerie.